J.M. Stitt Construction, Inc. is a 32 year old general contracting firm specializing in all facets of retail construction. We serve a broad spectrum of clients including both developer/landlords and tenants/retailers. We have constructed new shopping centers and completed numerous significant renovations and additions. We have completed literally hundreds of tenant buildouts for a variety of retailers. In 2011 we added a restaurant remodel division and have since completed dozens of projects. We believe you will find us a great construction partner. We build quality projects at very competitive rates. We are licensed and active in Arizona, Arkansas, California, Colorado, Idaho, Louisiana, Mississippi, Nevada, New Mexico, Oklahoma, Oregon, Texas, Utah and Washington. Additionally, we have also built projects in several other states when the opportunity arose. The following list of projects is only partial, but demonstrates not only our wide variety of clientele, but also the fact that virtually every client becomes a repeat client. We appreciate you considering us. Recent Project List - by the way... we travel!! IHOP Restaurants: Currently under construction of a new ground up restaurant in Norwalk, CA. DSS Shoes : Completed construction of a new ground store in Rialto, CA. Bob's Furniture: Completed a new major tenant improvement in Norwalk, CA. Currently awarded new contracts for major tenant improvements in Escondido, Ca and in El Cajon, CA. Kona Grill: Two major prototype remodels in Las Vegas, NV, and Irvine, CA. Rack Room Shoes: 60 new store locations/build-outs in Arizona, California, Colorado, Louisiana, Mississippi, Nebraska, Nevada, New Mexico, Oklahoma, Oregon and Texas. Currently under construction in Georgetown, Texas. Chase Bank: Eighteen new California locations including six new ground ups with site development. Currently under construction is a new ground up in Chico, CA and major new locations at Santa Monica, Malibu, Palm Desert and Stevenson Ranch all currently in California. Flemings Prime Steakhouse: Major prototype remodels in Austin, TX; Las Vegas (Summerlin), NV; La Jolla, CA; Scottsdale, AZ; LA Live and most recently at Fashion Island, Newport Beach, CA. All of these projects were open remodels. WSS Shoes: Completed a new ground up construction in Rialto, CA. Pier One Imports: Prior to 2010, we opened seventy eight stores, including their "Flagship" 1,000th store in Las Vegas (Summerlin), NV. Consequently, Pier One re-opened their construction program in 2012 - 2015. We completed twelve new prototype stores including Build to Suits in Huntington Beach, CA, West Covina, CA and Valencia, CA. 5 Points Shopping: Completed over $7 million in renovations throughout this regional shopping Center in Huntington Beach, California. Renovations included major additions, tenant improvements and several shopping center facade facelifts. Recently completed major tenant build outs in downtown Sacramento, CA and in Concord, CA. Completed a major shopping center facelift including six tenant build outs including LuLu Lemon, Maris Collective, Napa Stak, Kalifornia Jeans. We are currently constructing an office tenant improvement at the site. Just awarded a new construction ground up in Rancho Cucamonga, CA. Olive Garden: New ground up construction nearing completion in Capitola, CA. Just awarded another ground up in Rialto, Ca. 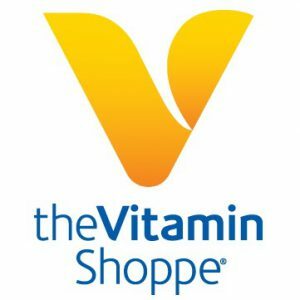 The Vitamin Shoppe: Over 30 store build-outs in California, Nevada, Arizona, Oregon and Colorado. Tiarna Real Estate: Shopping center remodel at Oak Brook Center in Thousand Oaks, CA. Office Building 1st and 2nd floor remodel located in Rancho Conejo, CA. Currently undertaking a very exciting and extensive shopping center remodel at the Burbank Empire Center in Burbank, CA. Season's 52: This beautiful "Award Winning" restaurant was built from the ground up in Albuquerque, New Mexico. Dollar Tree: Over one hundred projects to date located in Arizona, California, Nevada and Washington. New construction and site work completed in Modesto, CA; Galt, CA and Silver City, New Mexico. Currently working in Fontana, Oceanside and La Mirada, California. D-3 Construction Management: Currently under construction of a major shopping center remodel at Todos Santos Shopping Center in Concord, California. Family Dollar: Tenant Improvements just recently completed in Bellflower, Escalon and Oildale. These locations are all in California. Reliable Properties: 3 shopping center remodels in Arleta, CA; Riverside, CA and Pomona, CA. Major Office Rehab in Needles, CA. The Abbey Company: Completed fifteen major projects for this local southern California entity. Projects included shopping center facelifts and vanilla shells in Palmdale, CA; Lancaster, CA; Garden Grove, CA and Upland, CA. Recently completed the rehab of Ontario Transpark Center. Rossmoor: Demolition of existing 140,000 square foot center and construction of the new 100,000 square foot shopping center. This included several partial and complete store build outs. Redevelopment of free standing restaurant. 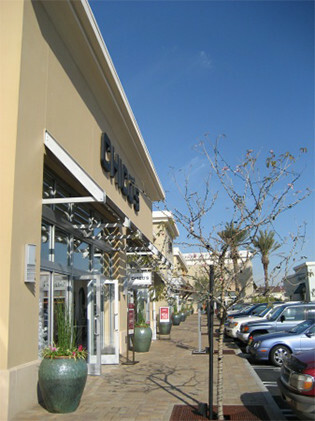 Bay Street Plaza: Numerous store build-outs in Emeryville, California. Currently working on repairs to the Elephant Bar Restaurant and landlord upgrades to several tenant spaces. Madison Marquette: Completed over $80 million in projects. Major center rehabs in Westwood, CA (including the old Macy's building), Manhattan Village, M.B. CA; Birdcage Center in Citrus Heights, CA; Bay Street, Emeryville, CA; Bayfair Mall, San Leandro, CA; Everett Mall, Everett, WA; Loehmann's Dept Store expansion, Downtown San Francisco; Lake Forest Park Mall, WA; La Jolla Wall Street Center, CA. Recent completed project was Exploding Kittens in Los Angeles, CA. Off Broadway Shoes: 25 new store build-outs in Arizona, California, Colorado, Louisiana, Mississippi, Texas. Currently remodelling the store in Orange, CA. 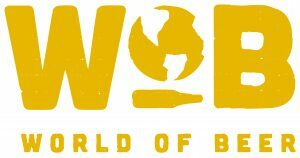 World of Beers: New restaurant build out at Sunset Mall in Henderson, Nevada. Avison Young: Major remodels @ Union Lofts, Los Angeles; Pacific Place in San Pedro; The Produce Mart, Lost Angeles; River Oaks in Valencia; Topaz Building in San Pedro; Compass in Beverly Hills, CA. Demolition of two old buildings and construction of new 5,000 and 10,000 ft pads in Valencia, CA. Tenant build outs for GMC , Great Clips and Pier One. Currently under construction for a third Compass Realty buildout. The current project is in Huntington Beach. The others were located in Playa Del Rey, CA and in Beverly Hills, CA. Outback Steakhouse: Seventeen major prototype remodels in Metro Phoenix, AZ; Selma, TX; Tyler, TX; Farmington, NM; Las Vegas, NV; Arlington, TX and Lewisville, TX to name a few. Some other notable remodels were constructed in Arkansas, Colorado and Oklahoma. These have all been "Open Restaurant" remodels. Bayfair: Mall renovations, additions, new pads, new food court and numerous store buildouts in San Leandro, California.